"From my early years growing up in Australia, I’ve always wanted to play the drums. My career did not get off to a great start when as a child I was told I was cut out to be part of the school Cadet band. However, I bought my first kit at the age of 17 and the rest, as they say, is history. 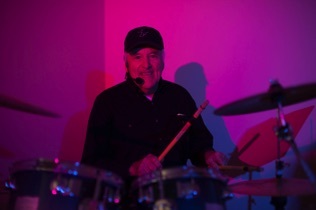 Beginning by playing drums through college, music has always been part of my life. Early influences were the ‘Beatles’ and Rock ‘n Roll. The most resounding influences are Simon Phillips and Jeff Porcaro from ‘Toto’. 1990 was a turning point to play professionally and this led to being the drummer for ‘Pig Iron Bob’ for over ten years and travelling with the widely popular covers band. Since moving to Canada, Country Rock has offered a great opportunity to expand my musical repertoire and enjoy real western music and community fun. Now playing with ‘The Street Legal Band’ our original music, along with popular covers gives us the creative opportunity to love our work!"